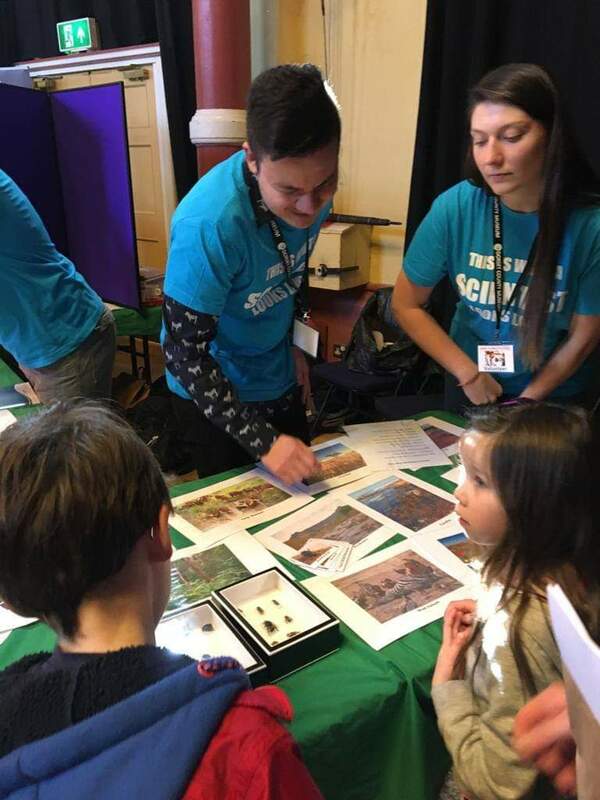 On Sunday 17th March, academics and students (both undergraduate and postgraduate) took part in Dorchester’s family science festival, inviting members of the public to learn about all aspects of science and research in the department for life and environmental sciences, from African elephant conservation to microbes living in the local environment. 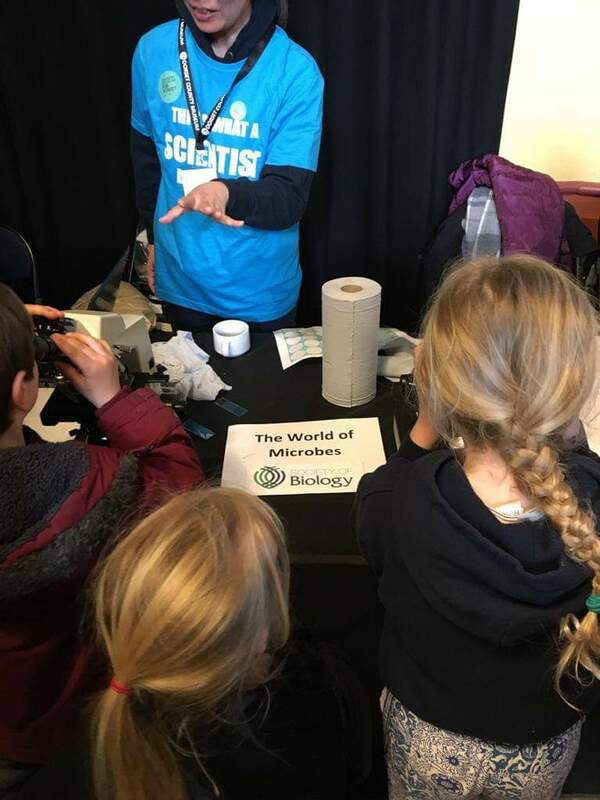 Many other local organisations also came along to take part, including Biotrack, the Jurassic Coast Trust, the Institute of Physics and many more. 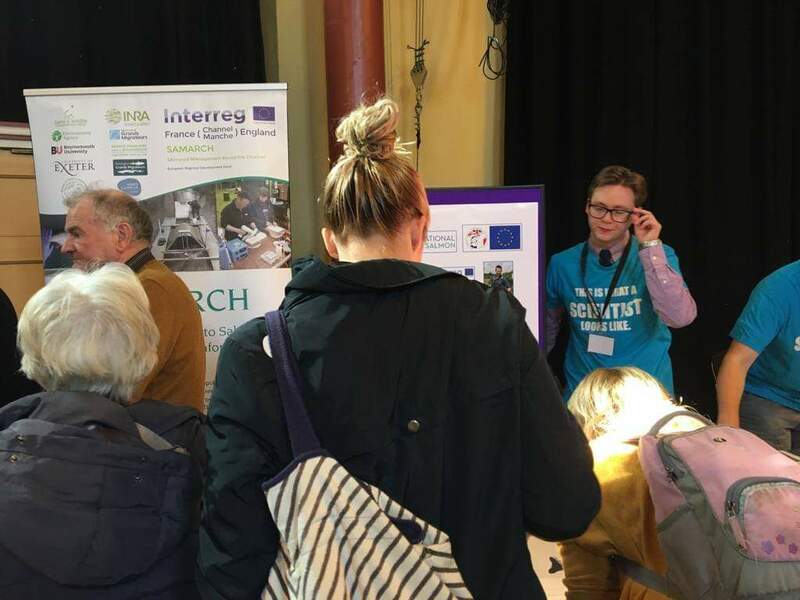 The event was sponsored by EU-Interreg project SAMARCH (through Genoveva Esteban), the Royal Society of Biology (grant to G. Esteban and D. Franklin), Dorchester Town Council and BU. We are also grateful to the Science IRL Project developed by the Indian River Lagoon Science Festival SAMA (Florida, USA) for sharing the “This is what a scientist looks like.” T-shirt idea with us. The world of microbes – Prof. Genoveva Esteban (professor of microbial aquatic ecology), Dr Daniel Franklin (lecturer in microbial ecology and biological oceanography) and Hai Luu (PhD student) – visitors were able to observe a variety of live single celled microbes using microscopes, and learn about the importance of these tiny organisms in the natural environment. 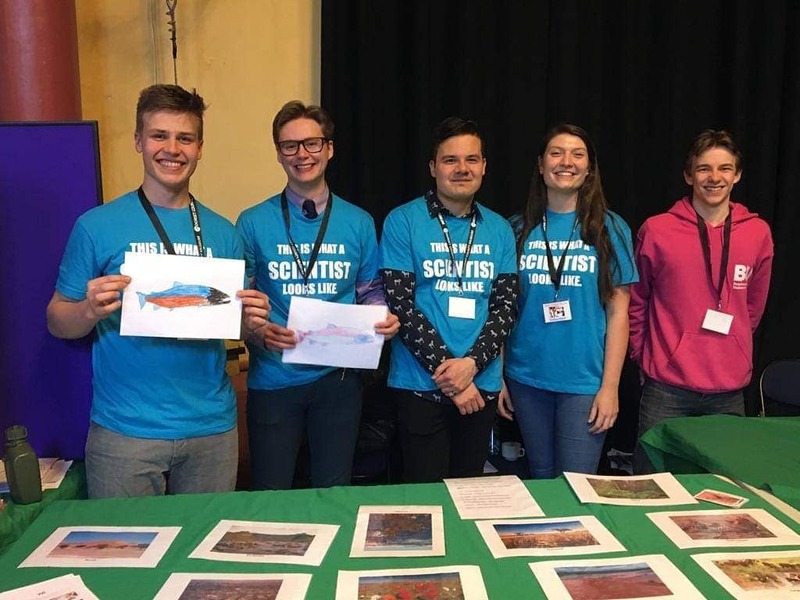 Fish conservation and the Samarch project – Ossi Turunen (Undergraduate student) and Oskari Heimonen (Undergraduate student) – visitors were able to colour in their own salmon, and learn to tell the age of a fish using their bones! Oskari and Ossi are both heavily affiliated with the Samarch project and visitors could learn more about the project too. Insects to elephants: African biodiversity and wildlife conservation – Katie Thompson (Research associate and PhD student) and Jack Dazley (Research assistant and MRes student) – visitors were able to look at preserved insect specimens and learn about their diversity, and also play a game matching 10 African insect species to their habitat. Also Katie and Jack showed people how elephant populations have declined, what threats they face and how conservation biologists are tackling these problems, with a map of African elephant distribution in the past vs today. 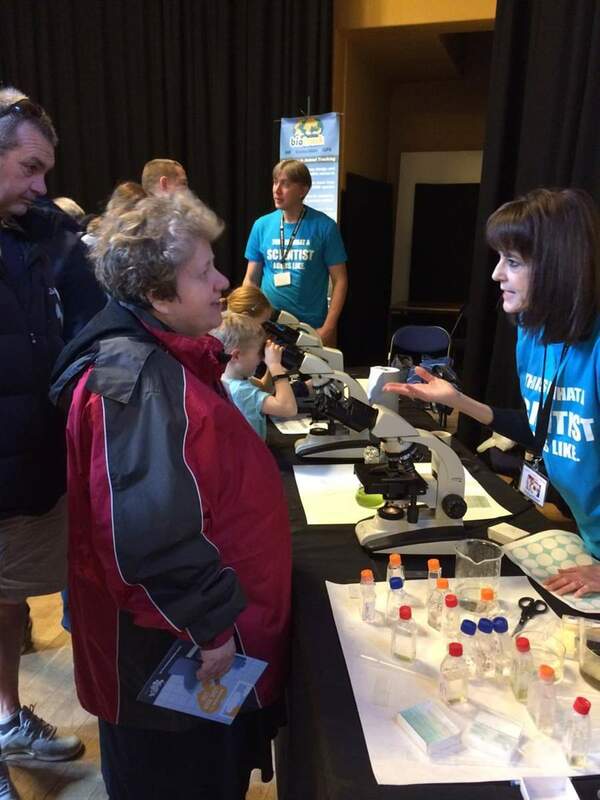 The event was a huge success and attracted many visitors of all ages from the local area, engaging them with research and hopefully inspiring new young scientists! We are very thankful to everybody who came on the day!